" If your lashes and brows are groomed beautifully, you can conquer anything"
The mission of The Lash and Brow Loft is to inspire and create a fearless confidence in your natural beauty; To provide a relaxing environment while educating our guests; To provide a level of service that defines the grateful attitude of The Lash and Brow Loft; To allow our passion and dedication to resonate throughout this industry. Whitney Asia Tyler is a native of Detroit Michigan. She moved to Atlanta, GA in 2007 . Beauty has always been a passion of Whitney's but engineering was also dear to her heart. Whitney attended Howard University in Washington DC, graduated with a Bachelors of Science in Civil Engineering and worked as a Traffic Engineer for 8 years. In 2013, Whitney decided to take an eyelash extensions training, just as a side job, but little did she know it would turn into her new career. Now a certified lash stylist, Whitney began her home business on the weekends, while working as an engineer during the week. Six months later, Whitney knew this was her passion and purpose. She stepped out on faith, quit her job as an engineer and began working full time at an eyebrow salon. 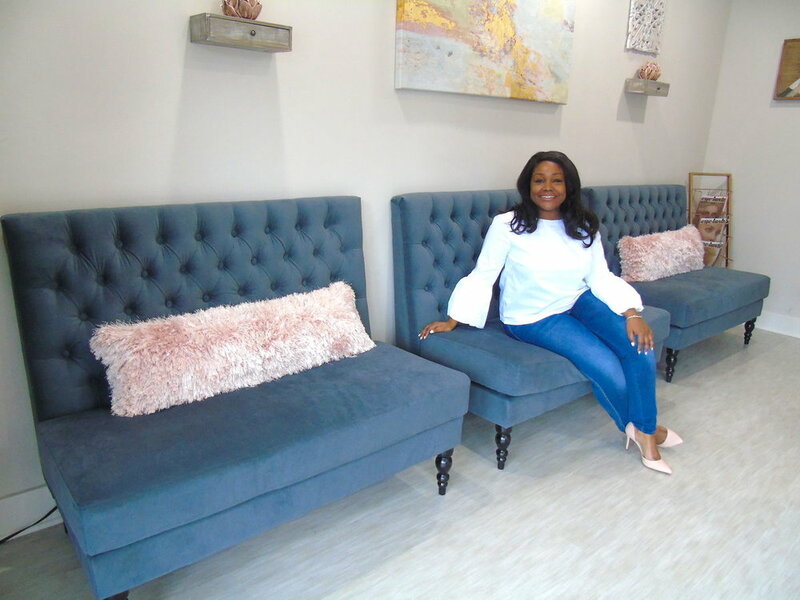 While working at the salon was very comfortable for her, a shift led her to open her own suite and enter the world of entrepreneurship six months later. Natural Lashes Salon was birthed in 2014. Whitney decided to continue her education in this field and became a licensed esthetician. Now in her fourth year of business, Whitney believes that "if your eyebrows and eyelashes are groomed beautifully, you can conquer anything!" Whitney knows that God and faith have brought her this far and she believes that He has not brought her this far to leave her now!